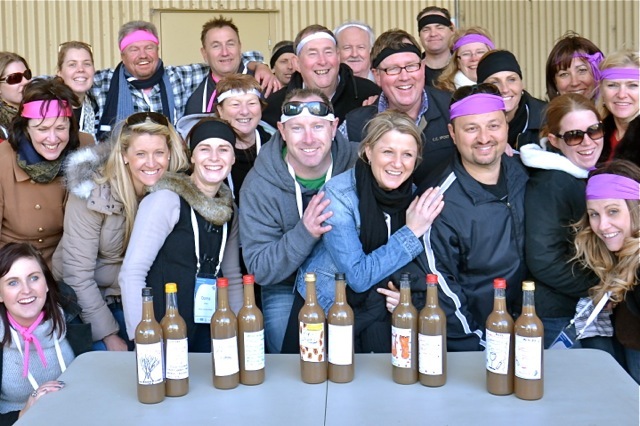 Amazing Races give you the best of The Hunter Valley wine country experiences with fun group activities for Social or Corporate Event Groups. Exploring wineries, enjoy wine tasting and discovering Hunter Valley secrets. Highlighting Shiraz, Semillon’s, Long Flat Reds, McGuigan, Tempus Two, Tyrrels, Pigs Peak, Cockfighters Ghost, James Estate, Wines. Or get into some Smelly Cheeses, Craft Beers, sampling Spirits at Distilleries and smooth Hunter Valley Chocolates. Enjoy an exceptional Hunter experience ideal for conferences and wine country escapes. Customised to include the best Hunter Valley activities and adventures, packaged to meet your timing, accommodation and budget. Grape Stomping, wine tasting, wine blending and fun puzzle, golf and chocolate activities through wineries. At cellar doors and around a stunning wine country only 2hrs north of Sydney. 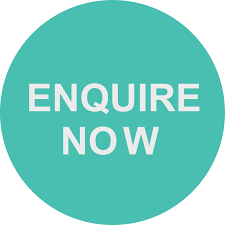 Start from your accommodation or conference venue location. Finish at any destination like a secret brilliant new wine bar or restaurant oozing with charm, revealing secrets hidden in The Valley. Your team will be exploring the unique and tasting boutique wines. Enter your team into an unforgettable and enjoyable race. Where we bring on the fun, excitement and adrenaline pumping adventures! Your team will experience the best of Hunter Valley’s iconic locations, wineries, cellar doors. Whilst completing rewarding tasks and challenges in a proven formula.New is our Crazy fun Bubble Soccer Experiences at all Hunter accommodation venues. What’s superb about a Hunter Valley Team Building Race? We ensure they are, really amazing! Including tastings at wineries, distilleries or breweries with local staff. We will not disappoint. You will enjoy our ability to blend 9-14 corporate activities into one inclusive fully packaged as an exceptional quality team building event. Incorporating cultural, intellectual, physical and creative team task & fun corporate challenges. Bringing out the best in your Team. Enquire here now for your Free 11 year Old Sparkling Shiraz + Event Photography + Winners Trophy. Includes; 10 Activities, Intersection, Roadblock & Yield. This program highlights some of the Hunter’s hidden gems. The Most Popular corporate selection and The Hunters Team Building Activity of Choice. 14 Activities around the Hunter Valley. Exceptional Activities, Staff Interaction and More Team Fun than any other corporate event. Facilitated with 2 professional staff. We suggest your teams select a sensation for improved motivation, communication, problem solving and rewarding results. Embark upon an amazing race that really takes you places. Incorporates unique combinations of excellent amazing race activities. Any destination using transport from mini Buses to horse and coach, to Hummers, Helicopters and Hot Air Balloons. Your delegates will get really excited once we include Hummers and Helicopter transfers to the Distillery, Wine Cellar Doors and Golfing venues. Impressive and exciting with all the Bells and Whistles for a really amazing event. Include Helicopters over the Hunter Valley. Rally Cars, Great Cask Halls, Electric Bikes, Sabor dessert delights… let your imagination run wild! We custom design the best and most unique Incentive events to impress your special guests with incentive groups a speciality. 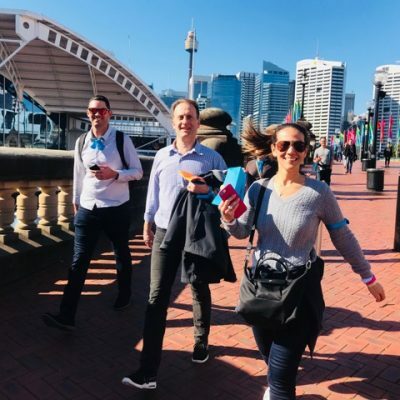 Enjoying and experiencing a fast paced series of Amazing Race Activities as part of a Team Development, Conference, Off Sites away from Sydney or corporate planning days. Business Events and Product Launches. “Thank you immensely mini bus Hire for the terrific Hunter Valley transport. You supplied Amazing Races team events a bunch of grape fun guys handling all the driving. 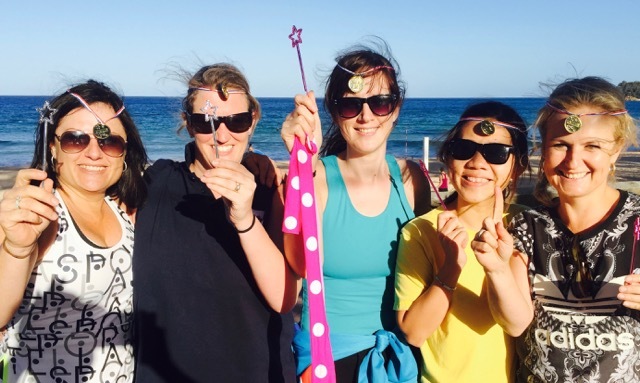 Brilliant for our corporate groups grape escape Amazing Race. The fun started from The Crowne Plaza heading out to Potters Brewery and onto wines at James Estate. The comment of the director “Brilliantly awesome”, was amongst some of the feedback and comments from our satisfied happy clients! Highly recommend your bus transfer services and can’t wait for the next event. Provide a natural flow of real team building or a series of fun challenge activities for all to participate in. Improve your team’s communication skills, and foster a positive working team relationship to take your corporate or social group to the next level! This is achieved through our professional Amazing Races staff that will ensure each participant fully involve themselves in our specifically designed team development exercises and activities. 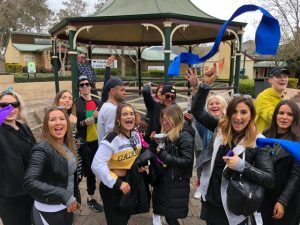 Amazing Race Contestants strive to arrive first at “Challenge Task Locations” and “Pitstops” to win the coveted Hunter Valley Amazing Race Trophy and novelty prizes. There is no elimination to worry about! 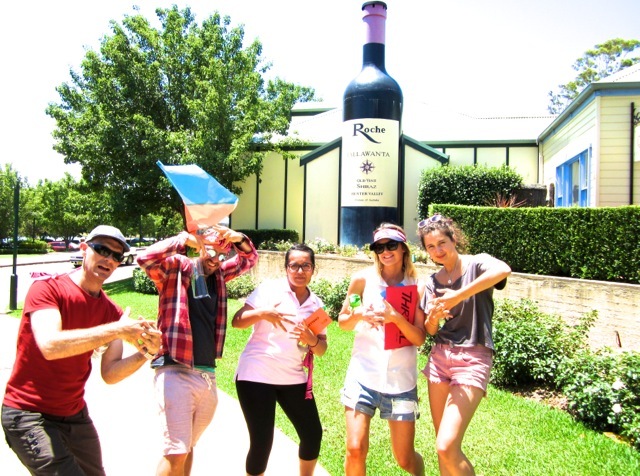 Replicating the Amazing Race Australia television show, teams register for arrivals at iconic destinations such as; Tyrrels Winery Cellar Door or Tempus Two Cellar Door, to be congratulated by the Hunter Valley Amazing Race host: ‘You are the 1st team to arrive’! Then the team is handed the Hunter Valley amazing race challenge envelope revealing the teams next activity task to be accomplished. All activities, challenges and exercises are particularly designed to focus on team building and development elements, like cohesion, cooperation and unity, in a fun and engaging way. Hunter Valley Zoo – cuddle a Koala or petting the live animals. Each program is adjusted to match the interests, skills, needs, timing and physical abilities of each individual team. Team communication grows as a result of fun, structured friendly team competition. We create engaging team building programs, designed to encourage team work which are ideal for conferences and improving leadership skills. 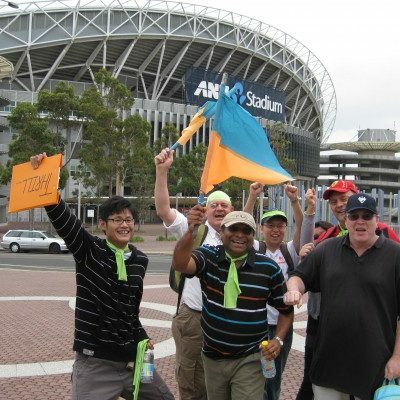 Our Hunter Valley Amazing Race events typically can run for a minimum of two hours, however 3-3.5hrs hours is the ideal length in order to achieve all your team building and development objectives. Nominate your inclusions and we ensure the format works. Events can be inclusive of conferencing, transport, transfers, meals, entertainment, evening activities. Incentives, reward and accommodation at any Hunter Valley Hotels, Resorts or unique conference venues. Australian Olympic Committee AOC – Human Resources Manager. Smitten with wines from the Hunter Valley boutique cellar doors and craft beers from Potters and Blue Tounge we lunged into an amazing race with taste! Amazing Races quenched our thirst for adventure, adrenaline and excitement. Next time we may try the more sedate Grape Stomping, Wine Blending and Chocolates with a hint of aqua golf! Team Building at it’s best!